A glimpse behind the illustrious, philanthropic family. 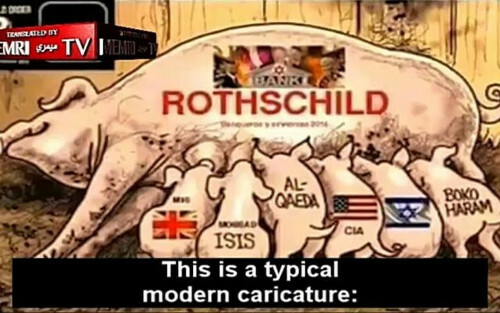 For some, the name Rothschild seems to be a stand-in for “Jews.” The Rothschild family has been spoken about in classic anti-Semitic terms – too rich and too powerful. Given the Rothschild’s long history of philanthropy and helping others, these mischaracterizations of the Rothschild family are especially tragic. From humble beginnings in 18th century Germany, the Rothschilds built a banking network and also became major philanthropists: the many programs and charities they established deserve to be better known. In the 1700s, Jews in Frankfurt had to live in the Judengasse, a cramped Jewish ghetto. Jews had to pay a Jew tax to enter the city and were obliged to step aside, remove their hats and bow whenever they encountered a Gentile on the street. It was here that the Rothschild family traces its roots, to a pious Jewish tradesman named Amschel Moses. When he died in 1757, his gravestone described him simply as “A man who observed the prescribed time for the study of the Torah”. Yet his children and grandchildren would go on to found some of the most successful banks Europe had ever seen. A Chassidic Jewish legend describes Amschel Moses working as the assistant to a renowned rabbi who used to collect alms from his congregants and distribute them to the poor. One day, the rabbi discovered his bag of alms was missing. The only person besides himself who had access to it was Amschel Moses. The rabbi couldn’t believe that Amschel, who was always so kind and honest, could have taken it, but there didn’t seem to be any other explanation. With a heavy heart, he approached Amschel and asked if he’d taken the bag. He wasn’t angry, the rabbi stressed, he was sure that Amschel must merely have meant to borrow the money. Amschel turned pale and told the rabbi he’d be right back. He returned with half the amount that was missing and promised to repay the outstanding balance out of his wages, which he did over a period of many months. Some time later the rabbi was astonished to find the missing bag full of alms; Amschel hadn’t taken it at all! 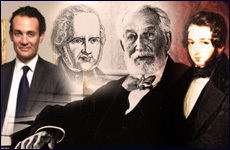 Amschel Moses and his wife died in epidemics when their children were still young, leaving behind their sons Moses, Kalman and Mayer, and a daughter Gutelche. Young Mayer at the time was studying in a yeshiva, but after his parents’ death, he was sent to Hanover to apprentice with a Jewish merchant. Mayer soon became a dealer in coins and antiques, and eventually gained the patronage of a local aristocrat, Prince William of Hanau, who borrowed funds from him, and introduced him to other profligate noblemen who bought and borrowed from Mayer. 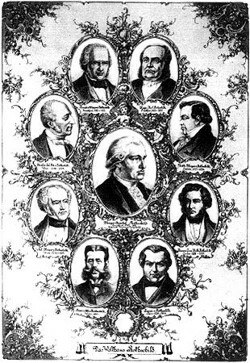 In order to keep up with all this business, Mayer formed a partnership with his brother Kalman in the 1780s; the Rothschild family as bankers began to be born. Though the Rothschilds were becoming prominent, their home life was hardly glamorous. Mayer married Gutle, the daughter of a local Jewish trader, and together they had 19 children, ten of whom survived infancy. They bought a house in the Jewish ghetto. Considered enormous by the standards of the ghetto, it was a mere 14 feet wide, and the family slept together in one room. Family life revolved around the Jewish holidays. The early business records of the family include the words “praise God”, a reminder that the Rothschilds saw their success as a gift from Above. Mayer Amschel died in 1812, and his five sons carried on the family loan business, each settling in a different European city, and each prospering in a dazzling way. 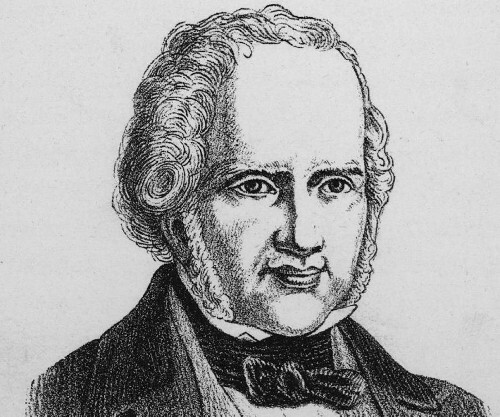 Amschel Mayer (1773-1855) remained in Frankfurt. 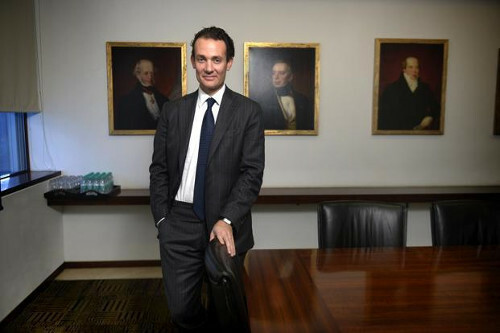 Karl Mayer (1788-1855) moved to Naples, and established an Italian arm of the Rothschild business. Jakob (1792-1868) settled in Paris and founded the company Rothschild Freres, providing loans to European governments and backing the constructions of the first railways. 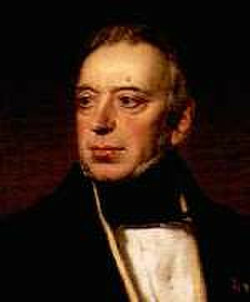 Nathan Mayer (1777-1836) moved to London, established the trading firm N. M. Rothschild, and eventually funded much of Britain’s war against Napoleon. Solomon Mayer (1774-1855) settled in Vienna. Approached by Prince Metternich, Austria’s Minister for Foreign Affairs, to arrange huge loans to rebuild after the Napoleonic wars, Solomon created new financial instruments to accomplish this huge task. In gratitude, the Rothschild family was ennobled, becoming the first Jewish aristocratic family. 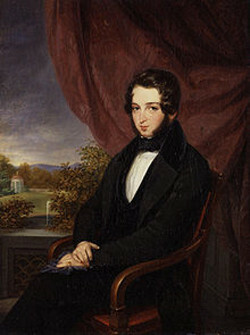 One Rothschild who was determined to find his place in upper class European society without compromising his Jewish identity was Lionel Nathan de Rothschild (1808-1879), the eldest son of Nathan Rothschild. Elected to Britain’s Parliament in 1847, Lionel refused to remove his hat and swear a Christian oath in order to be seated in Parliament. Re-elected four times, he campaigned to change the rules to allow openly Jewish members of Parliament, and was eventually seated in 1858, eleven years after his first election victory. 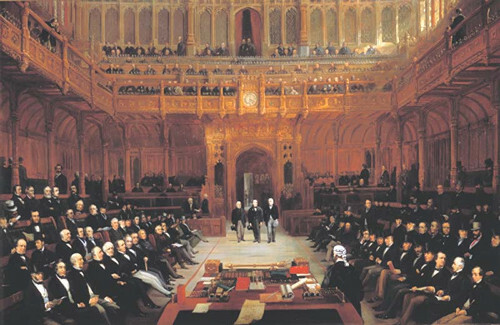 Lionel Nathan de Rothschild introduced in the House of Commons on 26 July 1858 by Lord John Russell and Mr John Abel Smith by Henry Barraud, 1872. Lionel also single-handedly funded a number of Jewish schools and charities throughout England. He experimented with building some of the first low-cost housing projects in Europe aimed at providing decent housing to the poor. In 1847, he convened a meeting in his London home to form a committee to raise funds for Irish famine relief. The British Relief Association he and his brother Mayer and others founded ultimately raised over 600,000 pounds, the largest private source of aid sent to Ireland during the Great Famine there. When Lionel’s wife Charlotte died in 1884, her will listed 32 charitable committees she supported, including schools, hospitals, Jewish organizations, and general relief organizations. In Frankfurt, much of the city’s charitable endeavors in the 1800s were supported by the Rothschilds. Amschel Rothschild donated 10% of his income to charity, as Jewish law directs, and the family ran 30 individual charities in the city, many overseen by Lionel de Rothschild’s younger sister Louise, who ran the family’s charitable interests along with her seven daughters. Their endeavors included a free library, nursing homes, orphanages, scholarship funds, soup kitchens, hospitals, and a dental clinic. 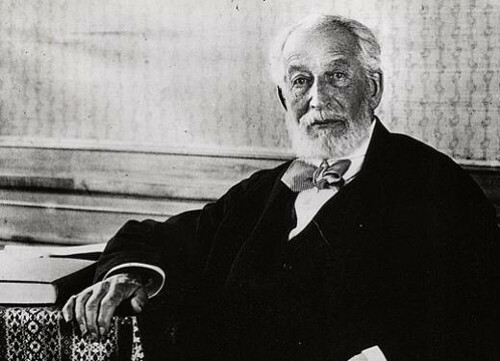 Perhaps the best known Rothschild philanthropist is Edmond James de Rothschild (1845-1934), a former soldier (he served in the first Franco-Prussian War) who joined the Paris branch of his family’s banking business in 1868. He and his wife Adelheid were early Zionists and profoundly helped Jews return to the land of Israel. When the Jews who were building new Jewish towns and villages appealed for help in the early 1880s, it was Edmond and Adelheid who responded, agreeing to invest in new collective farms in what today are the Israeli towns of Rishon LeZion, Zichron Yaakov, Rosh Pinah and others. In all, the couple provided funds to help establish 44 agricultural settlements and towns the length and breadth of the Jewish state. 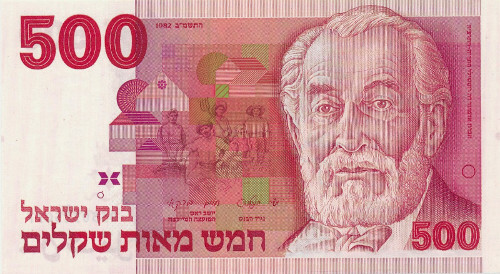 Some of Israel’s best-known settlements are named after Edmond de Rothschild’s relatives: Zichron Yaakov after his father James (“Yaakov” in Hebrew), Mazkeret Batya, after his mother Betty, and Givat Ada, after Edmond’s wife Adelheid. A French aristocrat to his core, Edmond encouraged industries with a decidedly French flair. He invested in flower production for the French perfume industry and encouraged Israel’s nascent wine-making capabilities. He founded two wineries in Israel, one in Rishon LeZion and one in Zichron Yaakov, which were among the world’s largest at the time. Today, the many branches of the Rothschild family are spread across the world. The closest thing to a united Rothschild company is the Rothschild bank, a British-French enterprise, which in February 2018 announced that later this year it would be led by the seventh generation of the famed Rothschild family, Alexandre de Rothschild, the 37 year old executive deputy chairman of the bank. According to the Financial Times, the Rothschild bank is today the fifth largest bank in Europe in terms of mergers and acquisitions in 2015 and 2016. The Rothschild family owns a 49% stake in the company and exercises 58% of board voting rights. While the Rothschild bank is successful, it’s hardly the economic powerhouse that some people think. No Rothschild currently is listed among Forbes’ list of the world’s billionaires in 2018. Instead, it seems the Rothschild’s legacy is one of helping to build European banking – and also of their many philanthropic and charitable undertakings through the years which have left the world a profoundly better place. Previous Post Sobre no tratar de ser lo que no se es.